Fr. Roger McQuarrie, OFM, was born in Lynn, Mass., on June 26, 1924. After graduating from St. Maryâ€™s Boyâ€™s High School in Lynn, he entered St. Josephâ€™s Seraphic Seminary in Callicoon, N.Y. In 1943, he was received into the Provinceâ€™s novitiate at St. Bonaventure Friary in Paterson, N.J., and professed temporary vows the following year. Fr. 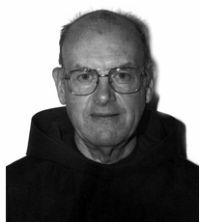 Roger made his solemn profession in 1947 and was ordained a priest in 1950. After ordination, Fr. Roger taught for three years at Bishop Timon-St. Jude High School and then spent three years at St. Francis of Assisi Church in New York City. He entered military service as a chaplain and served for four years. After his discharge in 1960, Fr. Roger continued his pastoral ministry in New Bedford, Mass., Atlanta, Ga., Pompton Lakes, N.J. and Boston. Fr. Roger also worked at Our Lady of the Rosary Parish in Worcester, Mass., the Kennedy Youth Center in Morgantown, W.V., St. Maryâ€™s Hospital in Waterbury, Conn., and St. Joseph Hospital in Tampa, Fla. In 1984, Fr. Roger was assigned to St. Francis Parish in Triangle, Va., where he was later appointed pastor. He remained in Triangle until illness forced his retirement to St. Anthony Friary in St. Petersburg, Fla. He transferred to Holy Name Friary in Ringwood, N.J., where he died on Sept. 4, 1995. Fr. Roger was 71 years old, a professed friar for 51 years and a priest for 45 years.